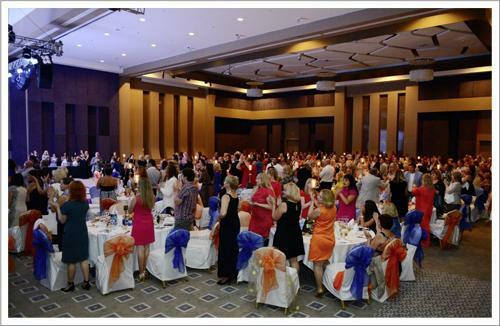 Starway 2014, traditional event of Coral Travel, was with more than 500 participants in hotels RIXOS PREMIUM TEKIROVA and MAXX ROYAL BELEK GOLF & SPA, Antalya from 12 to 19 of October. Starway award has been presented for already 12 years, and its main purpose is to express gratitude to the most professional and successful partners. Among the thousands of agencies only 400 of them were named the best, among the categories - Best and Perfect. The certificates and awards of the agencies deemed successful as a result of the assessment of 9 individual sections for each category were presented. 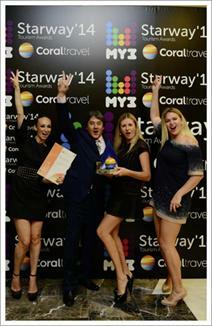 The winners received diplomas and memorable gifts, and for the agencies who took the top positions of the rating Coral Travel provided an award designed specifically for Starway: sunrise on the background of a sea wave, where the sun is a part of the Coral Travel logo. Besides the two grand awarding ceremonies in hotels the Starway event provided business trainings during which the agencies discovered the secrets of a successful conduct of business.